Verizon is to use the BlackBerry Storm as a competitor for the Pre. It looks like the Storm will be Big Red’s “secret” weapon against Sprint’s Pre, judging by leaked documents, sent to Verizon sales agents. LG ARENA goes… pink?! 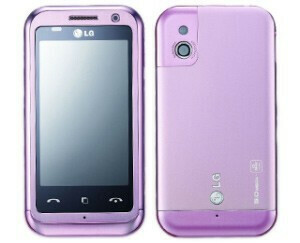 Yes, if you think you have seen all, LG might just have a surprise for you. The new pink version of the S-Class-powered handset will be exclusively sold with Orange. 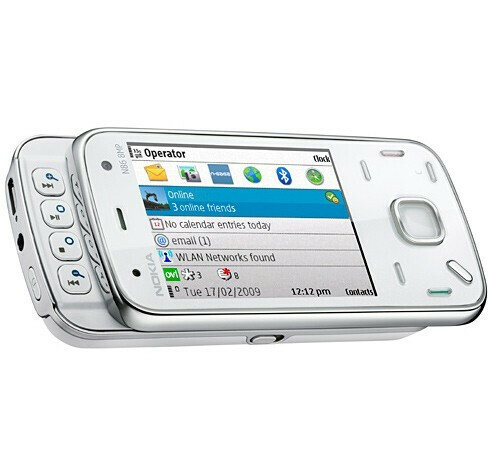 Nokia N86 8MP is now on its way to stores, says the manufacturer. Nokia’s first 8-megapixel camera phone will be available globally, but there is no information about the exact release date. Samsung has launched a solar-powered phone, the Guru 1107, aka Solar Guru. It is extremely low-end, housing a tiny 1.5-inch CSTN screen and dual-band GSM connectivity. However, what it has and other current phones haven´t is the ability to deliver about 5-10 minutes of intensive talk time after an hour of solar-powering. The Guru is now available in India, but will soon take over Europe, Southeast and Southwest Asia, as well as Latin America. Cool, ain’t it? 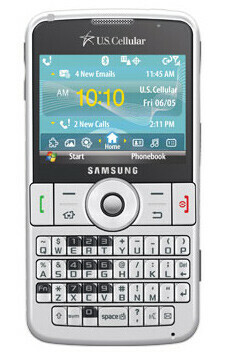 BlackBerry Pearl Flip 8230 and Samsung Code have surfaced on U.S. Cellular’s website somewhat earlier than expected. Check them through our source links! Who cares about all that? They all need to work on wireless rate plans. true if all carriers lowered the prices of all of there plans then there can true sales competition between carriers as to which have the best cell phones and best customer service. If you lower your prices too low you cannot cover costs. You are stupid. Cell phones have nothing to do with it, becuase the govt could step in and say that all phones need to be cross compatible with all carriers... what now smart guy? oh that's right the phone is pointless. VZW and AT&T charge more for a reason. they are product differentiators, as in their networks are superior to their rivals in the US (Sprint and T-mobile respectively). Sprint used to charge more than anyone else back in the day, but their CEOs were greedy little bastards and just kept the bulk of the profts for themselves, while VZW kept investing more and more into its network, and now their network is considered waaaaay better than Sprint's. AT&T also invests a ton into its network, launching 3g isn't cheap and making it available isn't either, then releasing the 7.2 costs more... while tmobile's 3g coverage is laughable at best. Do you want cheap, or do you want good? Besides... your statement doesn't make any sense at all? Relearn 4th grade english and correct what i guess is supposed to be a fluid sentence. "true if all carriers lowered the prices of all of **there** plans then there (what does this mean--->)[can true sales competition between carriers ]"